Thomas Smith was born in England, reputedly the illegitimate son of Sir Thomas Lyttelton, at an unknown date. He joined the Royal Navy and became a junior lieutenant on the Royal Oak in 1727. In 1730 he was promoted captain of the Success and served the navy on the home station as well as the Mediterranean from 1732 to 1740. 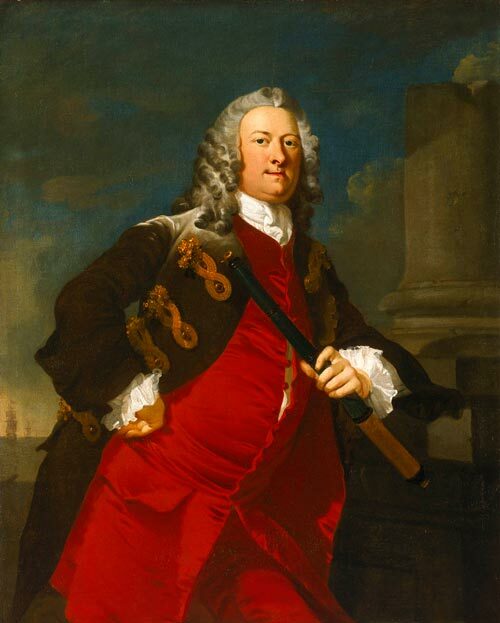 Smith was captain of the Romney from 1740 to 1742, where his duty was to protect the Newfoundland fisheries. He was appointed governor of Newfoundland in 1741 and served a single year. He served again as governor and commander-in-chief in 1743. After serving in Newfoundland, Smith continued his naval career. He was promoted to Rear-admiral of the Red in 1747, and Vice-admiral of the White in 1748. After the promotion to Vice-admiral of the Blue in 1758, Smith retired from naval service. He died in August, 1762.